Moving Sale - $100 Daylilies for only $3.99, $2.99 or $1.99 each, depending on the quantity chosen. We are moving our daylilies to make room for more seedlings. These daylilies are being offered as single fans and will be of blooming size. 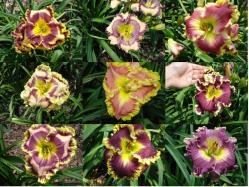 The daylilies you receive will be similar to the ones pictured above. The plants you are purchasing will be either very nice seedlings or mislabeled named varieties. We grow thousands of daylily seedlings each year from the top varieties available. These are not average daylilies; they are from crosses involving $50 to $200 plants. Plants are selected for heavy flower substance, high bud count and good branching. Many of the daylilies will have fancy edges, eyes and heavy ruffling. The plants are all Northern and Southern hardy and will bloom for many years to come in your garden. Colors can include Pinks, Whites, Purples, Oranges, Yellows, Golds, Bi-Colors, Creams, Apricots, Melons, Roses, Lilacs, and many more. Flower sizes will range from cute 3 inch flowers to huge 7 inch flowers. The plants will not be marked by size or color. Daylilies are an incredibly carefree perennial flower - they practically care for themselves. Once you start to grow this perennial, you will want many more. 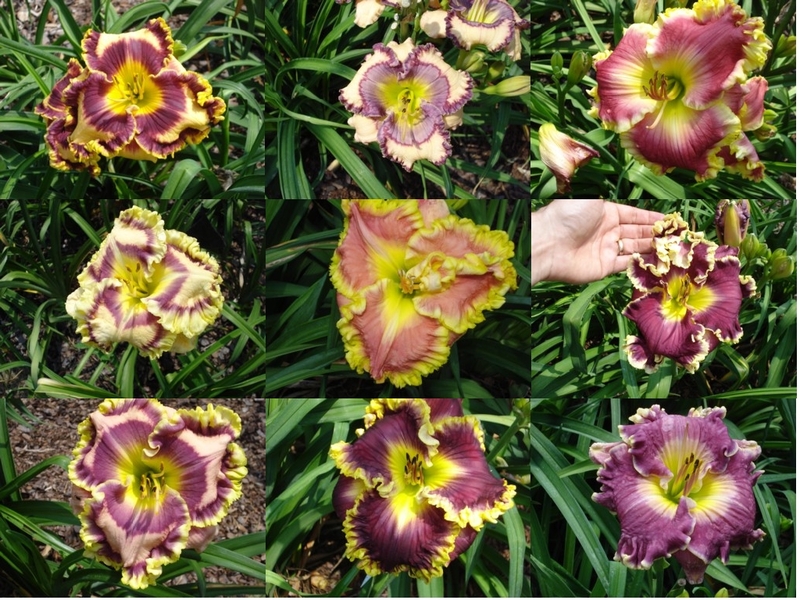 Hybrid daylilies are shipped as large healthy bareroot plants.